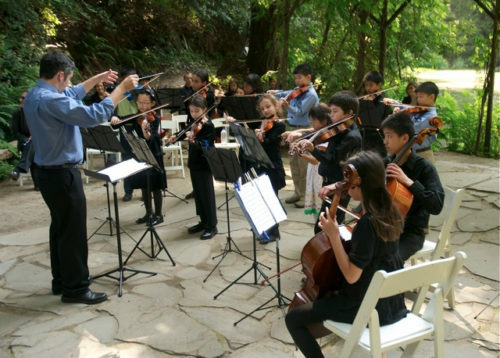 The San José Youth Chamber Orchestra program offers three levels of string ensembles in San José, two levels of string ensembles in Santa Cruz, two flute ensembles and a new chamber music program. This program is designed to equip young players with the skills needed for excellent performance, as well as instill disciplines useful in all areas of life and foster a wider appreciation of the arts. This program distinguishes itself through the strong mentoring relationship that the professional orchestra provides, giving students opportunities to work directly with professionals who coach sectional rehearsals, and through the annual “Side-by-Side” concerts, where the senior orchestra performs side-by-side with the members of the professional orchestra and the younger groups perform side-by-side with the seniors. 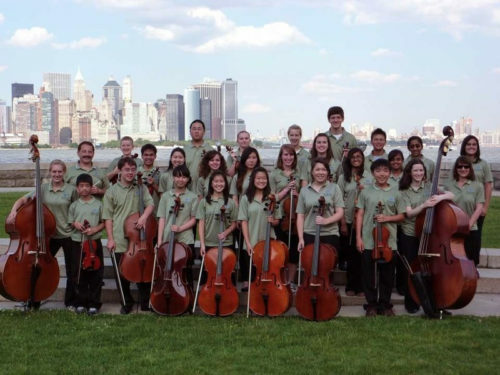 The Senior Youth Chamber Orchestra also works with a composer on a newly commissioned work each season, annually appears on a regular San José Chamber Orchestra subscription concert, and makes a summer trip to New York City once every few years. The Composition Connection offers San José State University composition students free tickets to performances, access to orchestra rehearsals and small group contact with San José Chamber Orchestra composers, in addition to such activities as composer forums, reading sessions and special opportunities for graduate students, including but not limited to the professional performance of their works. 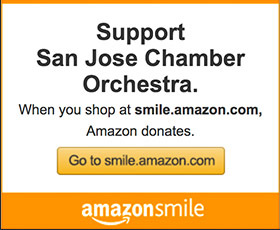 A similar program is being developed with the Young Artists program of Chamber Music Silicon Valley. Finally, seeking to expose all students to music as a living art, orchestra staff makes itself available to local schools for career day presentations, in-school performances and lectures, orchestra staff consultations with teachers and facilitates student attendance at public performances, student ushering and/or other volunteering at orchestra events.